A study of Viking fish suppers has revealed the extent of the cod trade in Europe more than 1000 years ago. 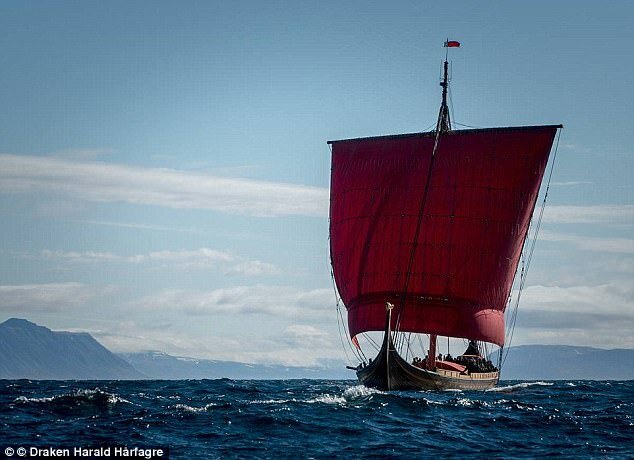 Tough vikings braved the chilly Arctic waters in longboats to bring back hauls of delicious cod as part of the European wide fish trade started by Norwegian fishermen. The discovery show ‘stockfish’ – an ancient dried cod dish popular to this day – were transported over a 1000 miles from northern Norway to the Baltic Sea during the Viking era. The new study published in the journal PNAS, suggests that some form of this pan European trade in Norwegian cod may have been taking place for 1000 years. Latest finds from the universities of Cambridge and Oslo, and the Centre for Baltic and Scandinavian Archaeology in Schleswig, used ancient DNA extracted from the remnants of Viking age fish suppers. The study analysed 5 cod bones dating from between 800 and 1066 AD discovered in the mud of the former wharves of Haithabu, an early medieval trading port on the Baltic. Haithabu is now a heritage site in modern Germany, but at the time was ruled by the King of the Danes. The DNA from these cod bones contained genetic signatures seen in the Arctic stock that swims off the coast of Lofoten – which is still a centre for Norways fishing industry. ‘The trade routes for dried cod was from northern Norway along the coast and then east into Skagerrak and Kattegat to Haithabu, which was near modern Schleswig. ‘There was also traffic from England and Continental Europe to Haithabu. It was a hub for Viking Age trade’, he said. Prior to the latest study, there was no archaeological or historical evidence of a European stockfish trade before the 12th-century. The small size of the current study prevents researchers from determining whether the cod was transported for trade or simply used as sustenance for the voyage from Norway. They believe the Haithabu bones provide the earliest proofs of fish caught in northern Norway being consumed on mainland Europe – suggesting trade involving significant distances has been in operation for a millennium. ‘Traded fish was one of the 1st commodities to begin to knit the European continent together economically’, Dr Barrett said. ‘Haithabu was an important trading centre during the early medieval period. ‘A place where north met south, pagan met Christian, and those who used coin met those who used silver by weight’, he said. Stockfish is white fish preserved by the unique climate of north Norway, where winter temperature hovers around freezing. ‘This Arctic stock of cod is still highly prized – caught and exported across Europe today’, said Dr Barrett. Cod is traditionally hung out on wooden frame to allow the chill air to dry the fish. Some medieval accounts suggest stock fish was still edible as much as 10 years after preservation. Dr Barrett added: ‘The Viking world was complex and interconnected. ‘This is a world where a chieftain from north Norway may have shared stock fish with Alfred the Great while a late antique Latin text was being translated in the background. ‘A world where the town dwellers of a cosmopolitan port in a Baltic fjord may have been provisioned from an Arctic sea hundreds of miles away’, he said.